Our Interior Corridor hotel offers 24 hr Front Desk, Express Checkout, Indoor Pool, Handicap Rooms/Facilities, Guest Laundry, Super Start Breakfast, 24 hour Coffee, Microwaves, Refrigerators, Coffee Makers, modem lines in rooms, Cable- HBO/CNN/ESPN, Free High Speed Internet. 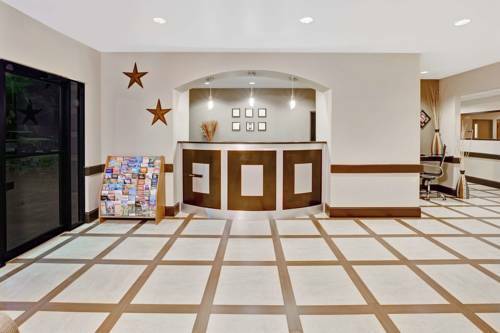 Fishing, golf, barber/Beauty Salon, Shopping area ,Bars all nearby, Brown Convention center, Toyota Center and Minute Maid Park - 8 Miles, Reliant Stadium - 23 miles, Minutes from downtown, and 0.5 mile from Louisville Intl Airport. The KY Fair/Expo Ctr, Churchill Downs, U of L campus, Papa Johns and YUM Stadium are minutes away. Our guests enjoy the ability to walk to Freedom Hall and the Fairgrounds and walking distance to several restaurants. We are a 100 Percent smoke free.